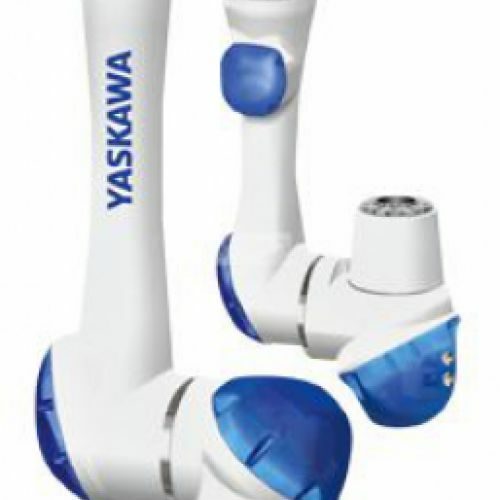 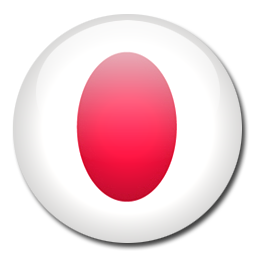 Japanese brand of great fame and use. 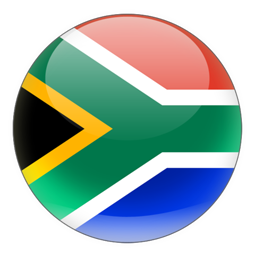 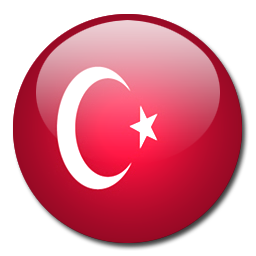 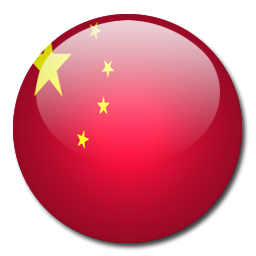 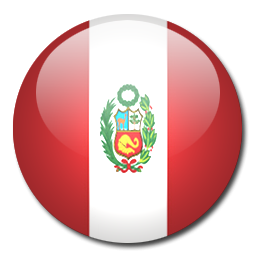 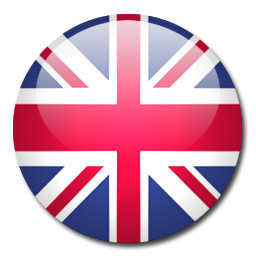 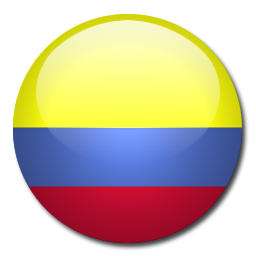 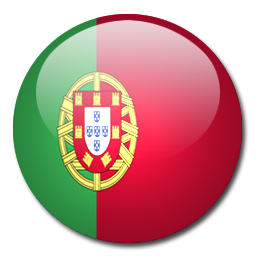 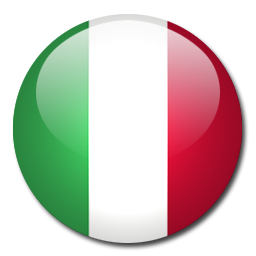 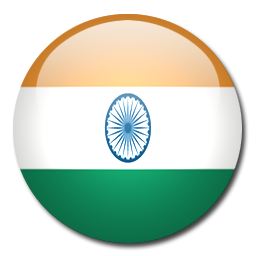 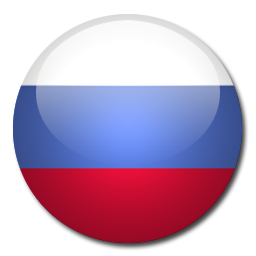 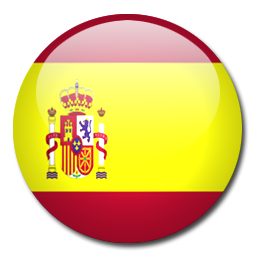 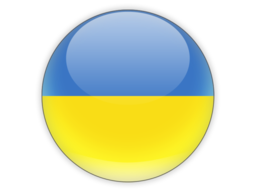 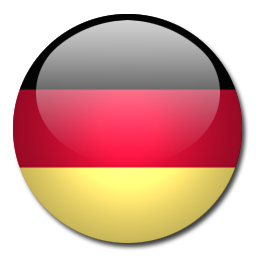 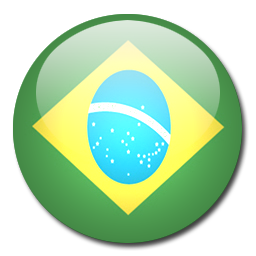 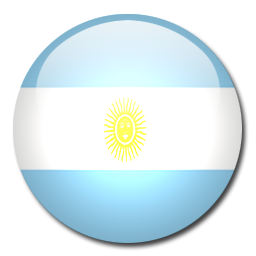 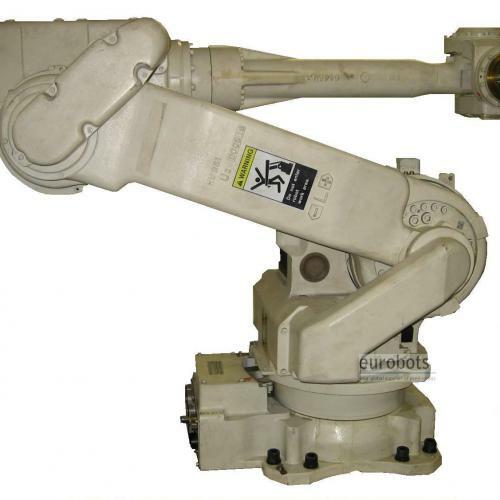 Founded in 1915, today it is a manufacturer of anthropomorphs and automated electronic components of the highest quality and reliability. 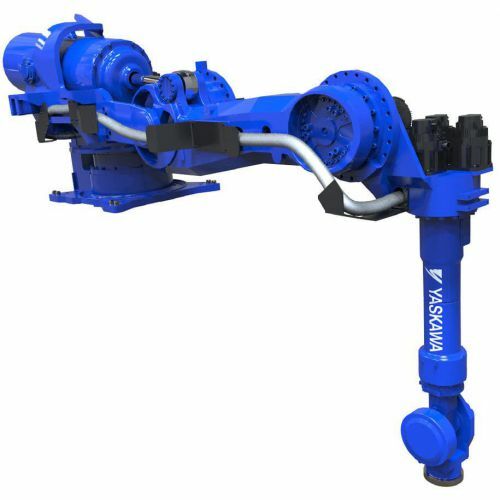 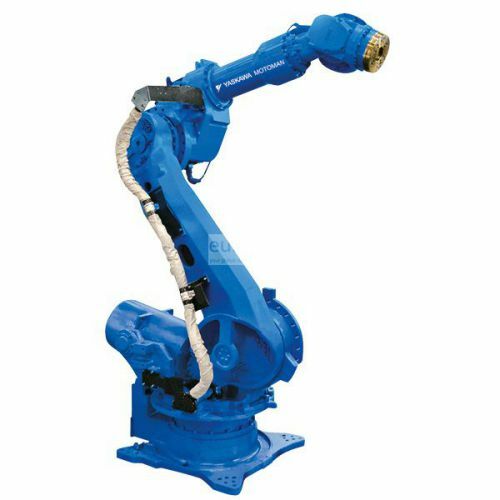 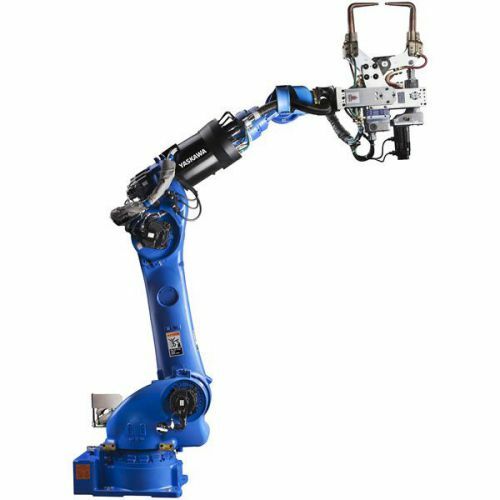 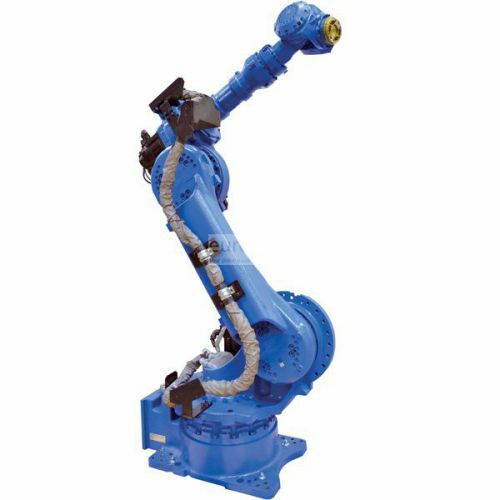 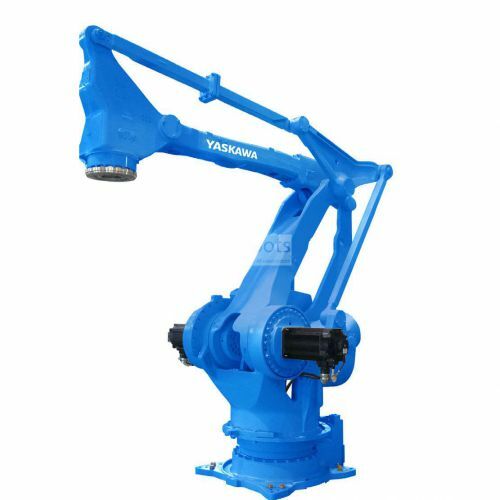 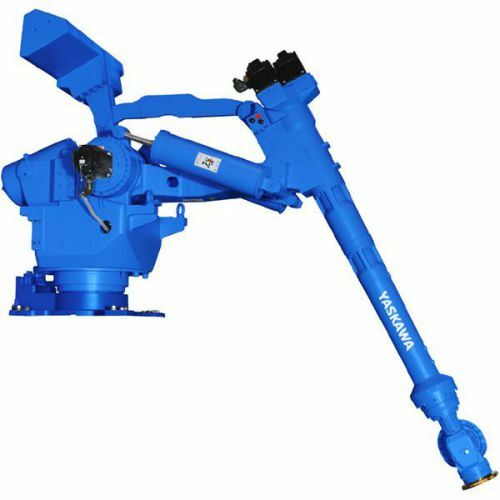 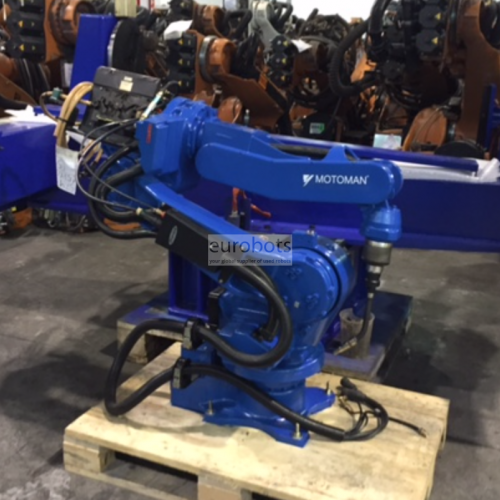 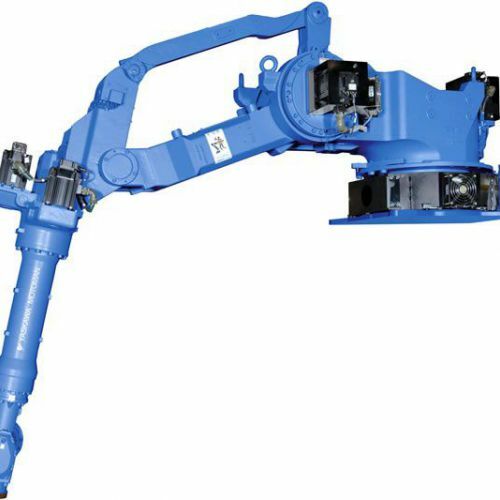 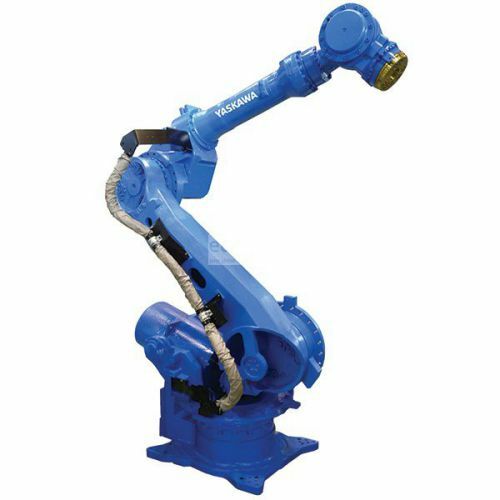 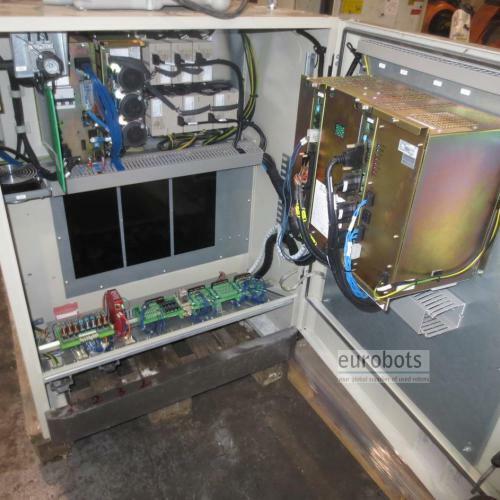 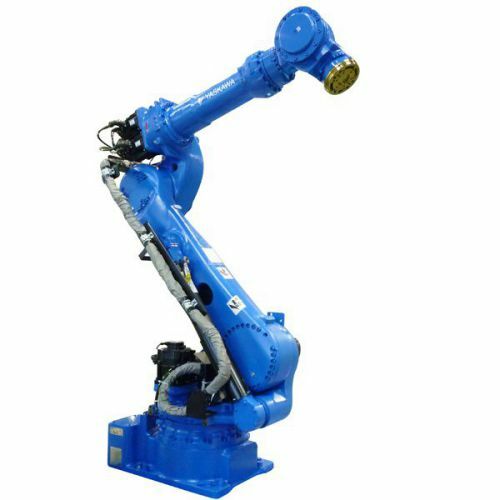 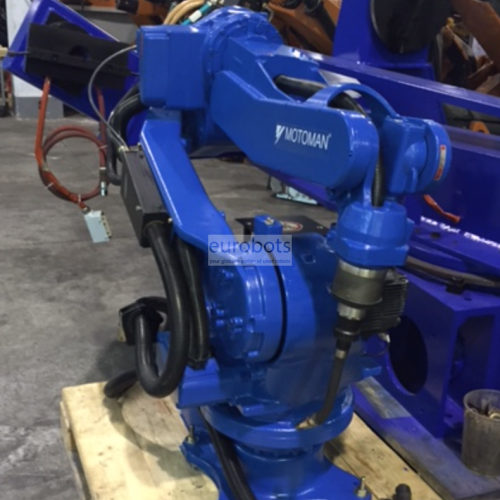 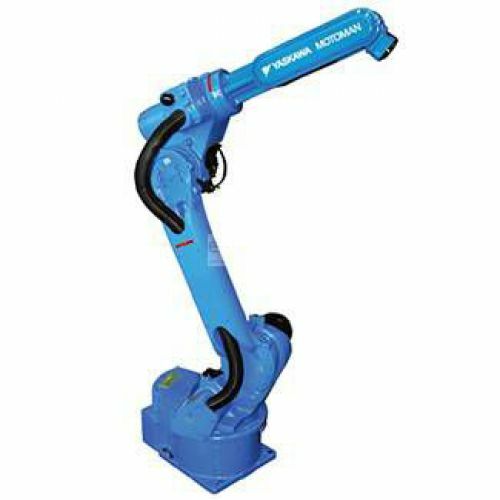 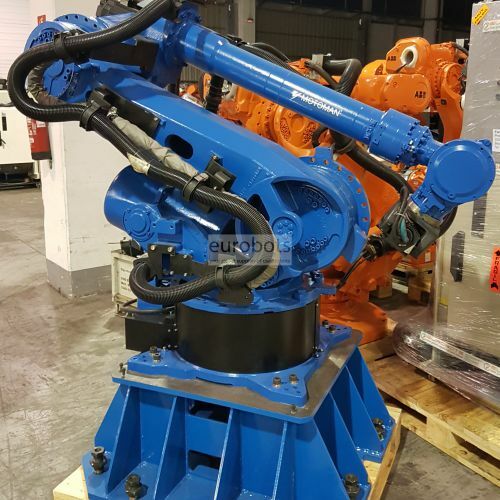 The operating system is easily manageable and the arms are structured to offer maximum comfort, especially in wiring for welding systems. 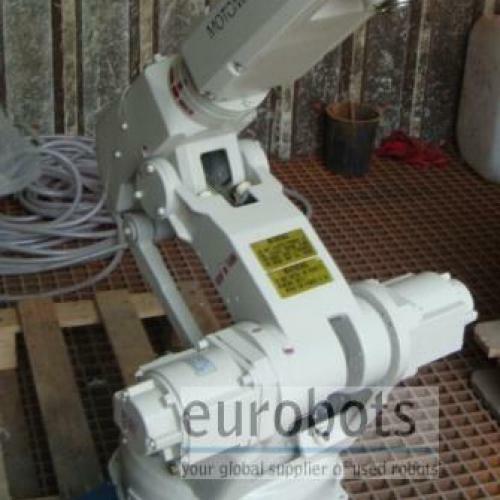 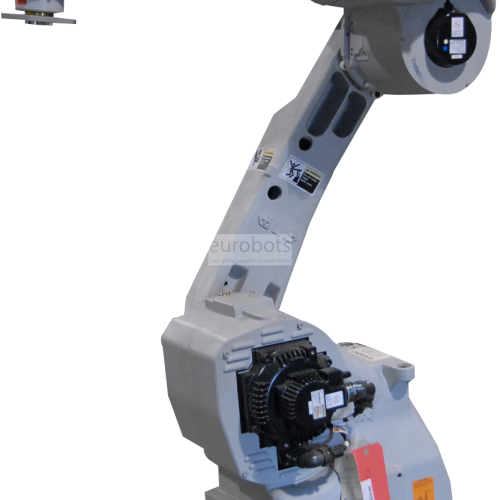 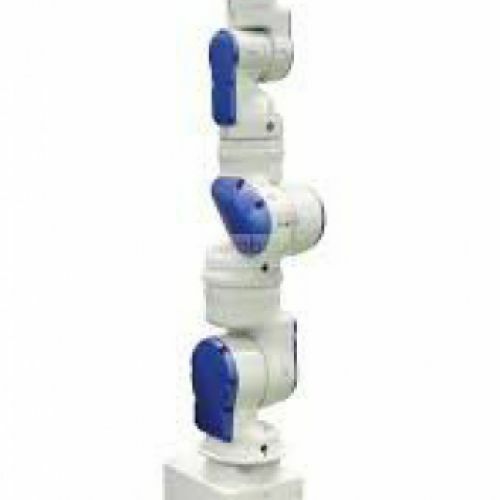 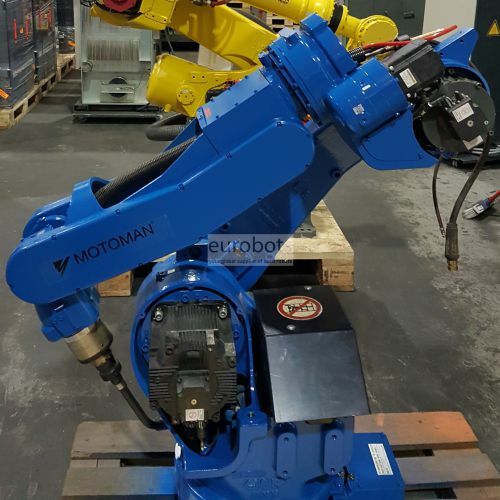 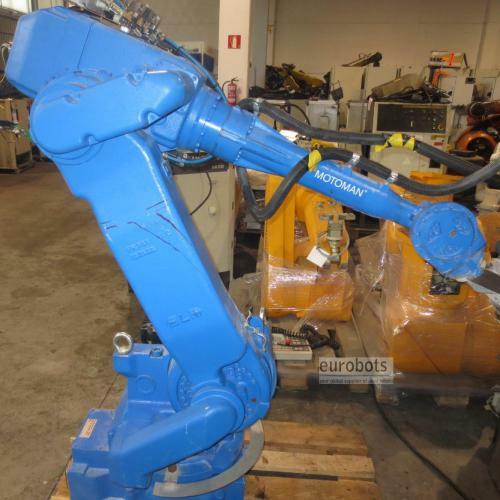 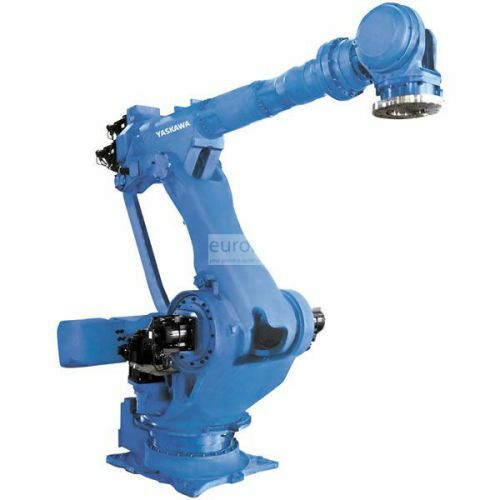 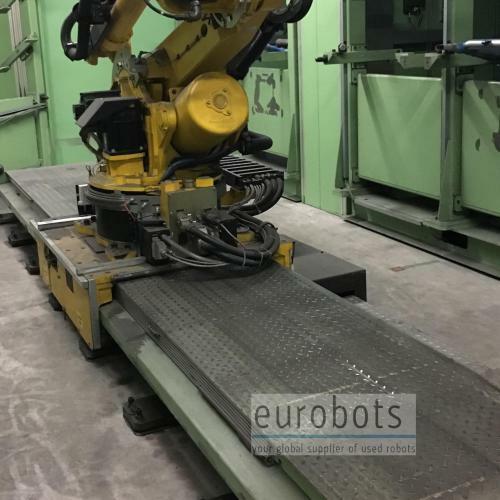 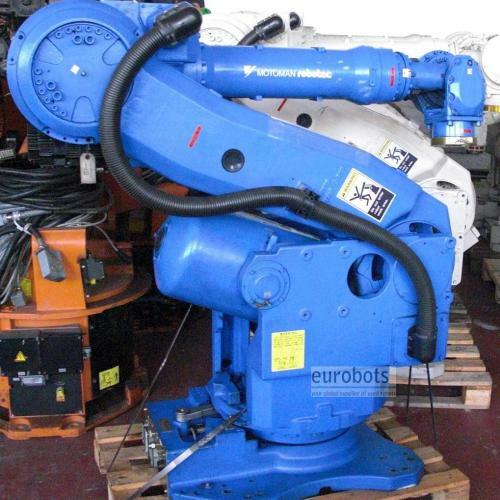 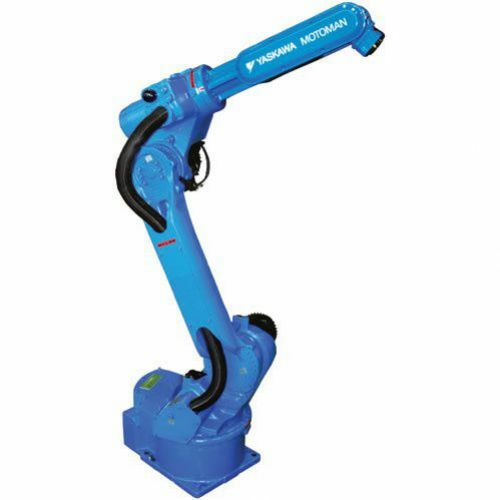 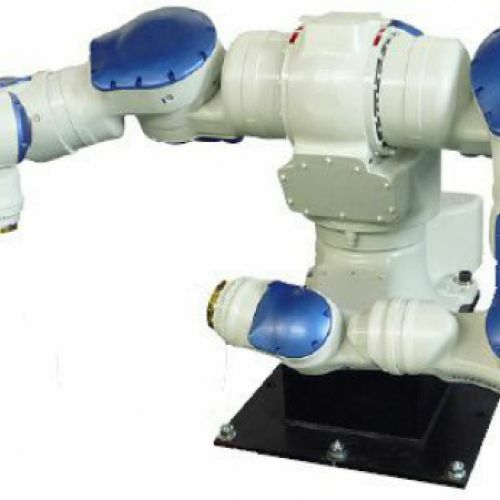 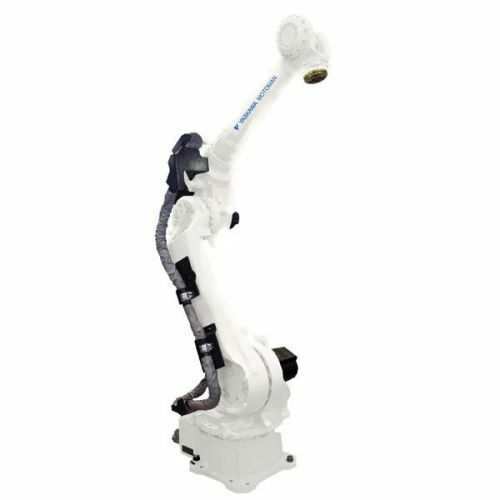 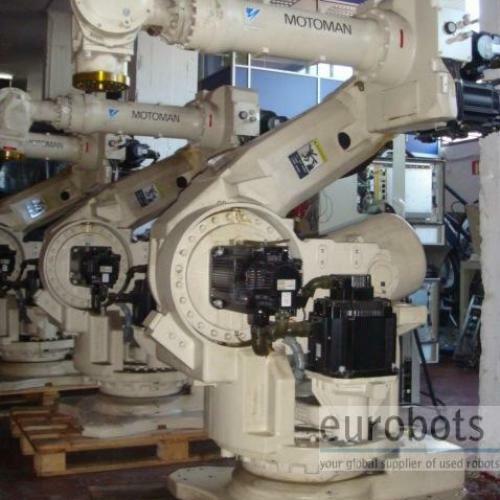 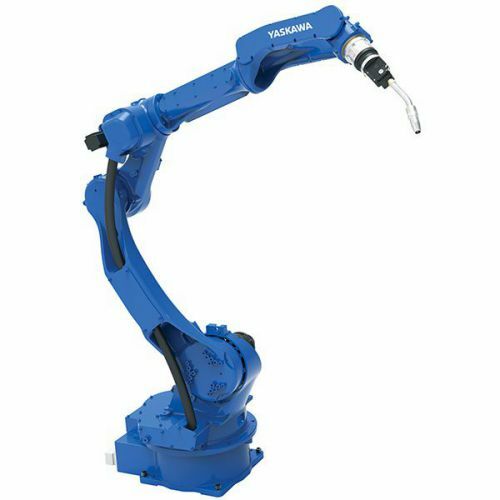 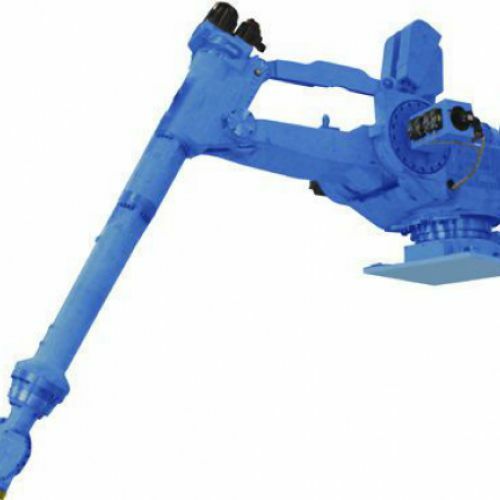 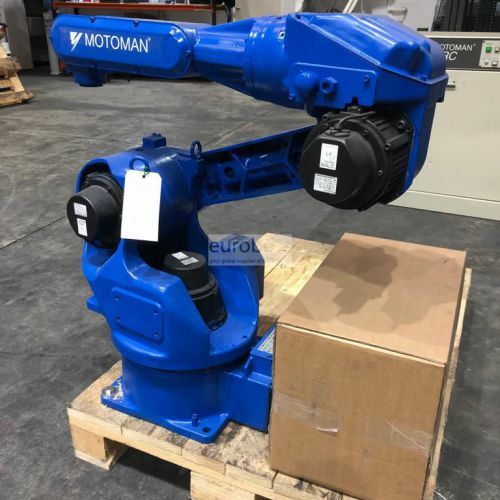 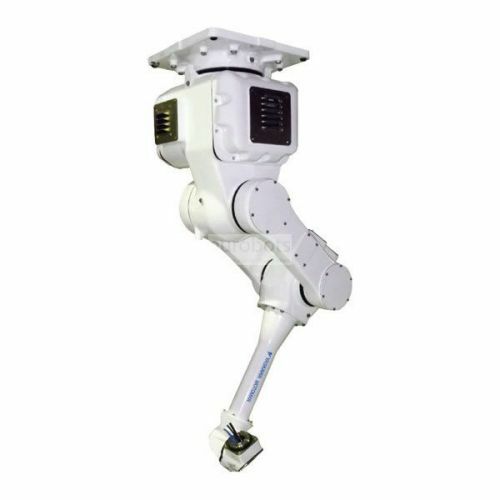 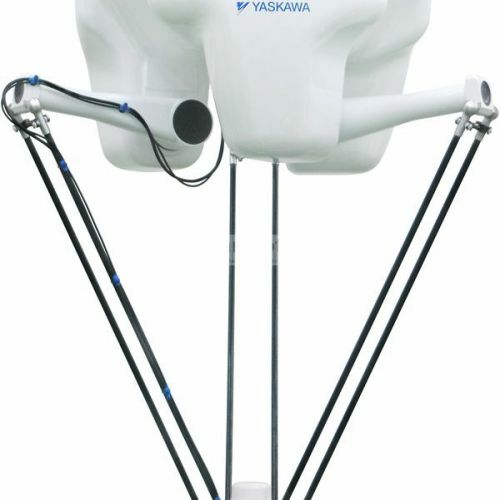 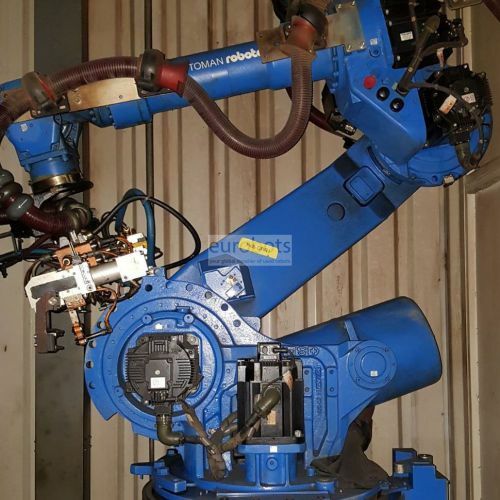 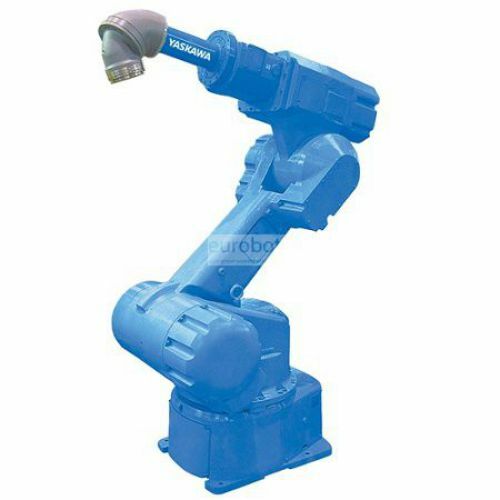 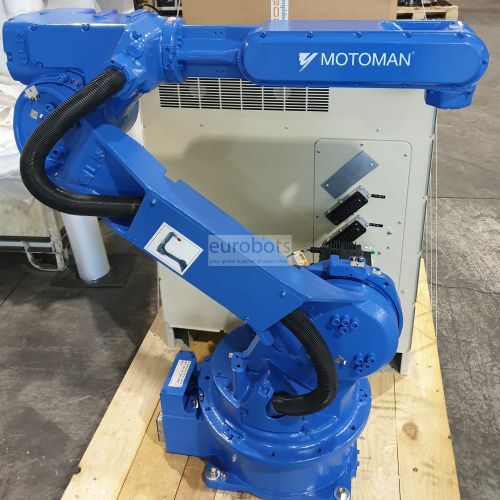 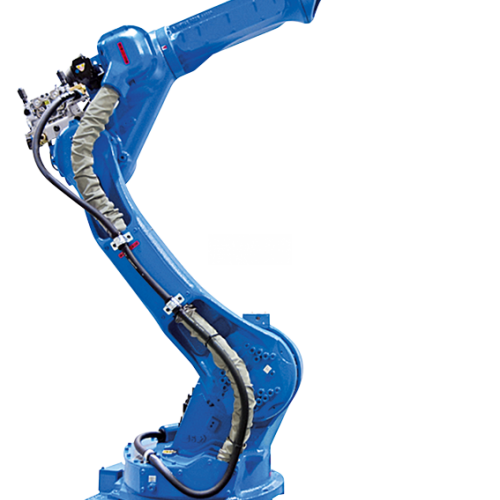 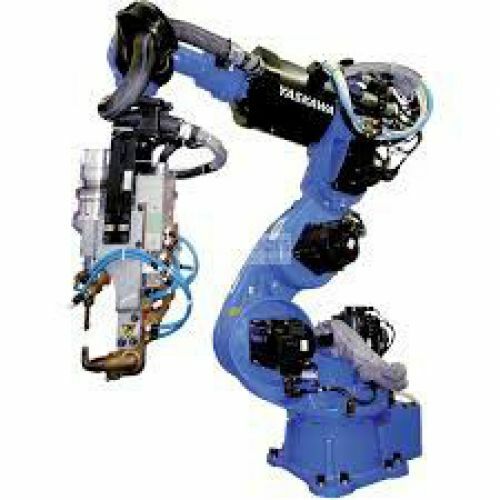 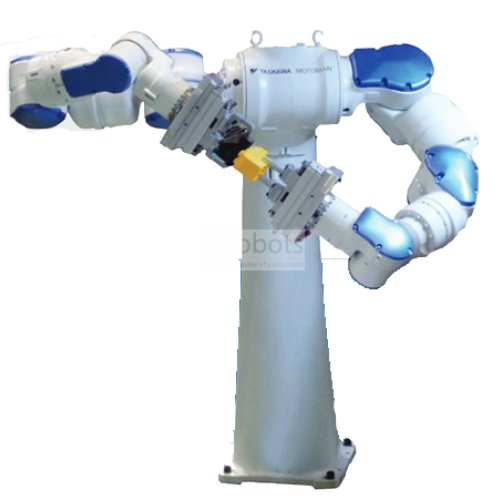 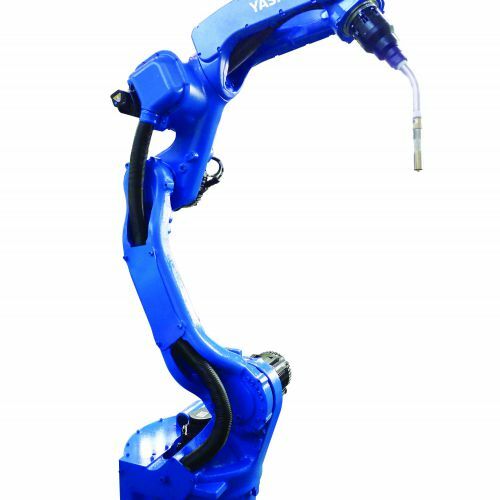 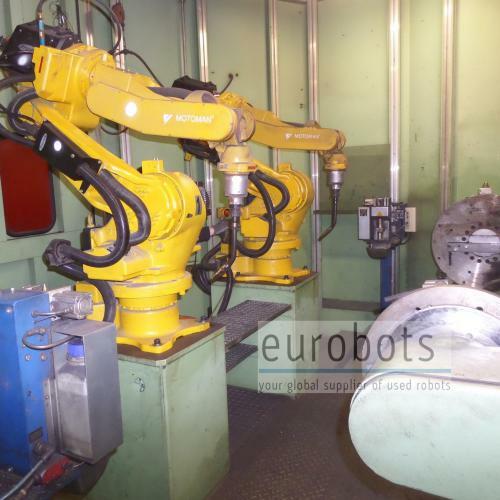 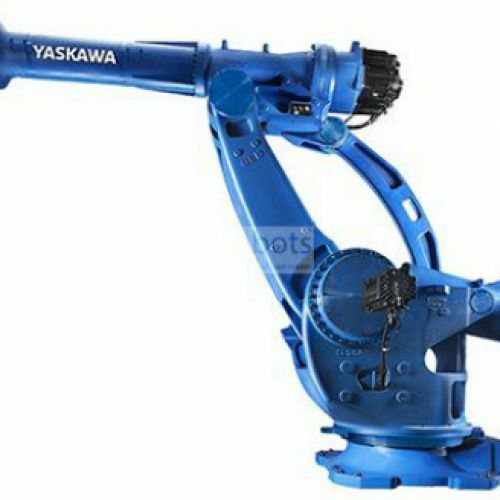 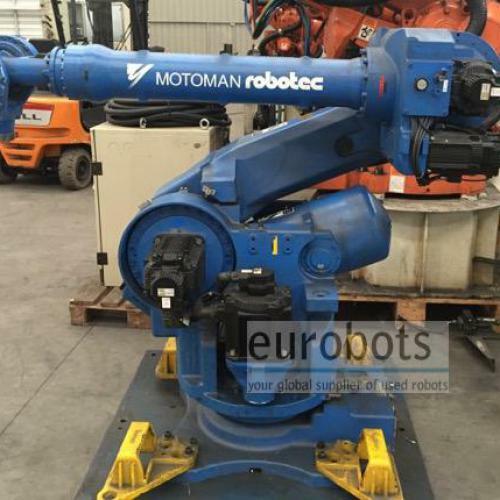 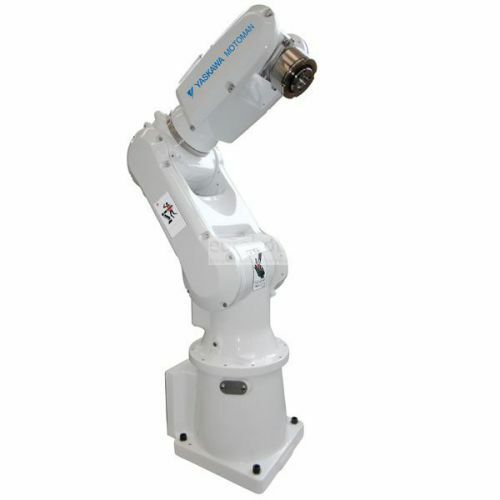 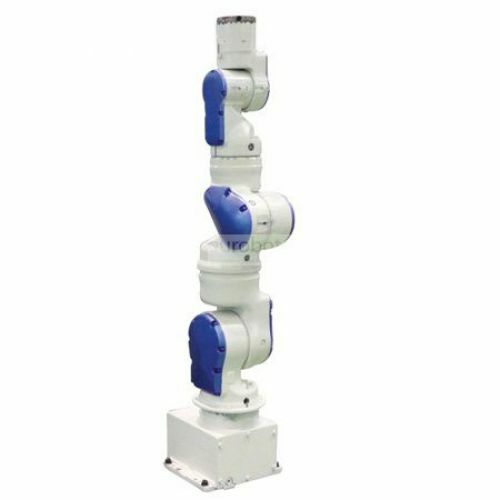 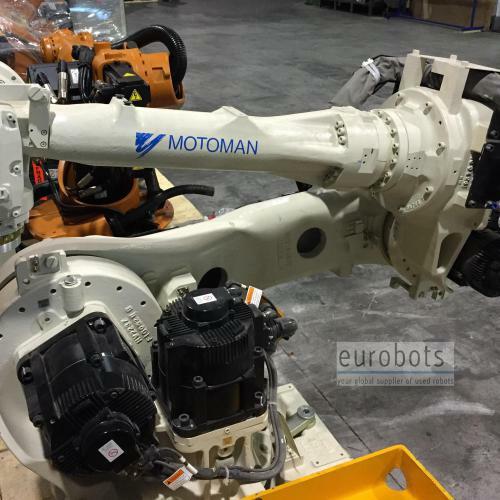 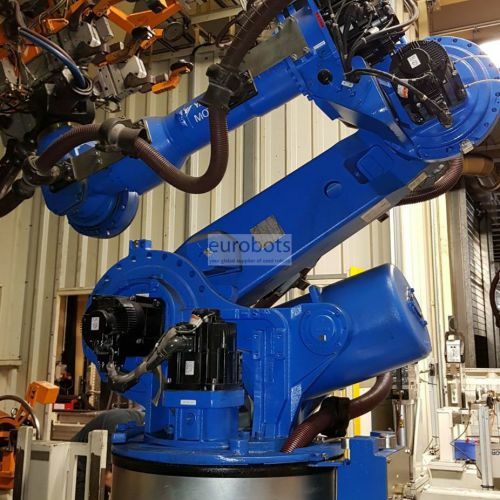 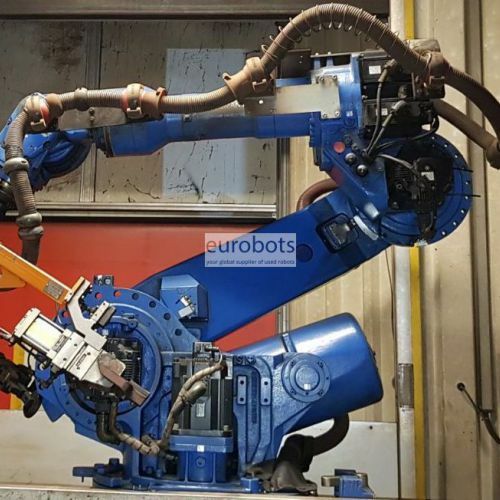 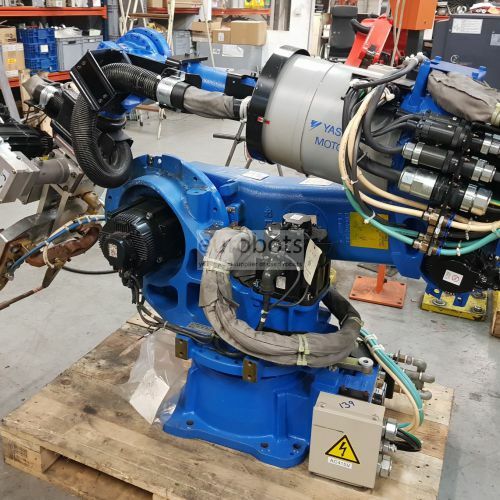 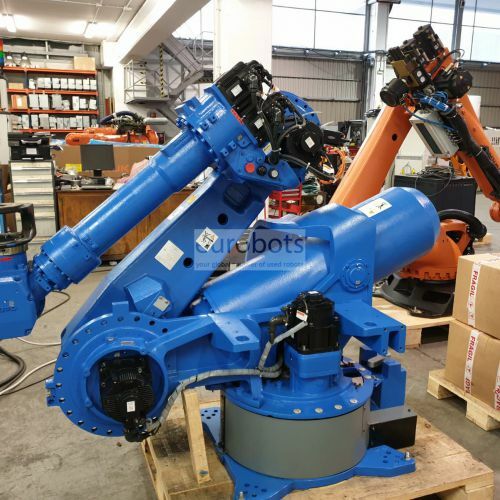 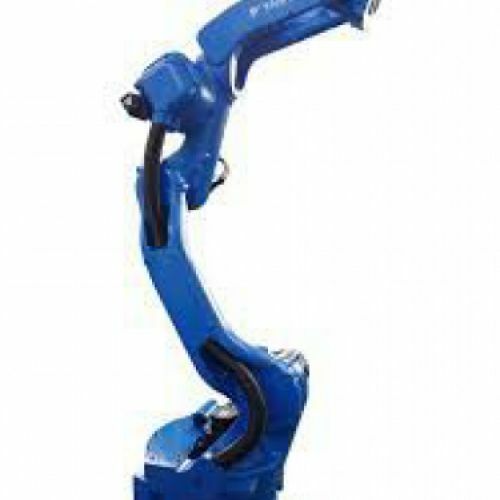 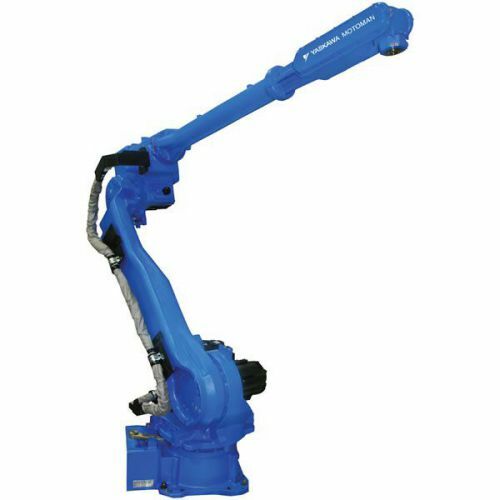 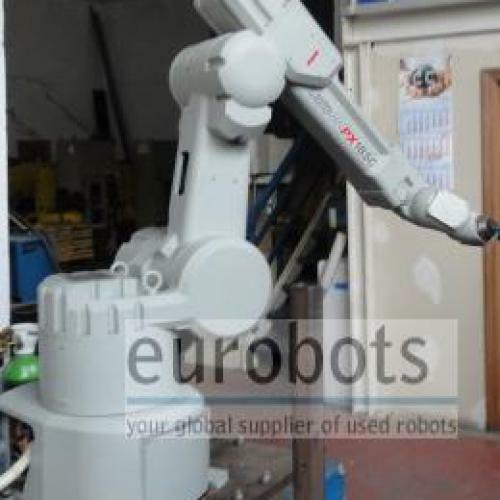 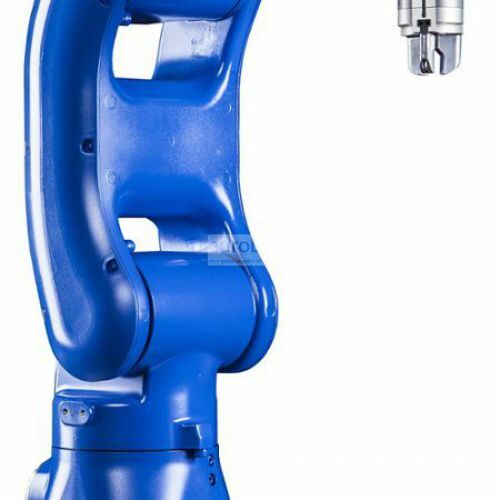 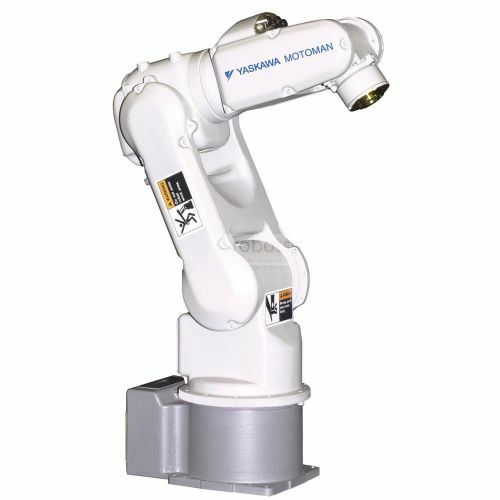 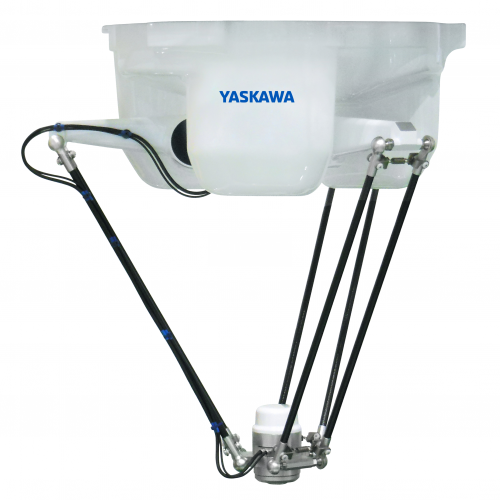 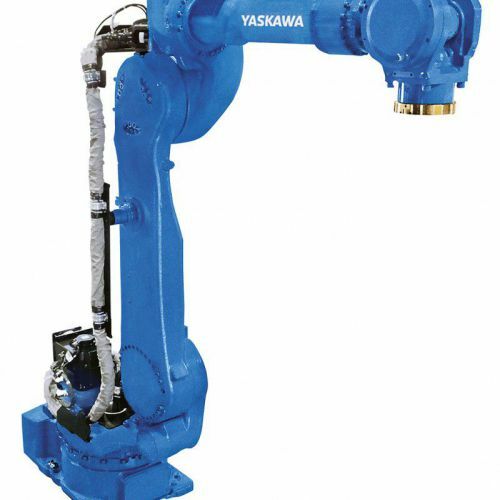 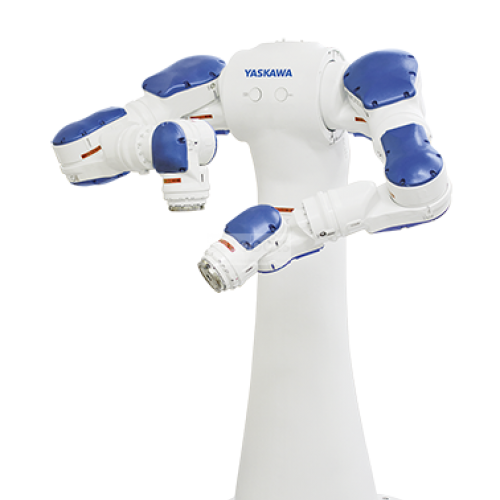 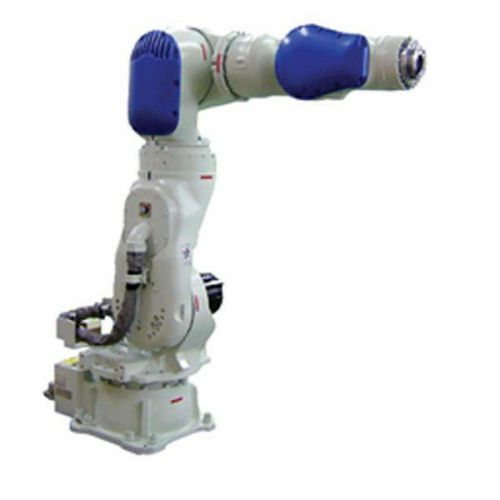 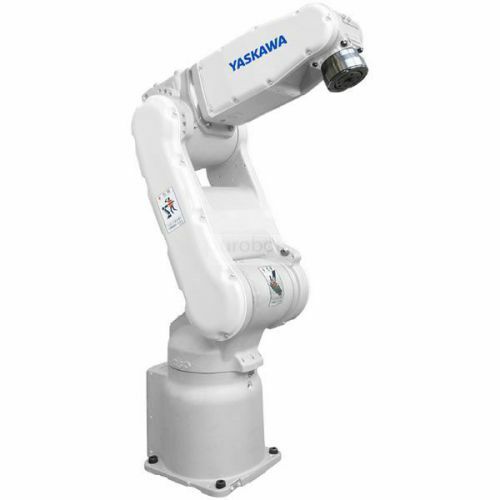 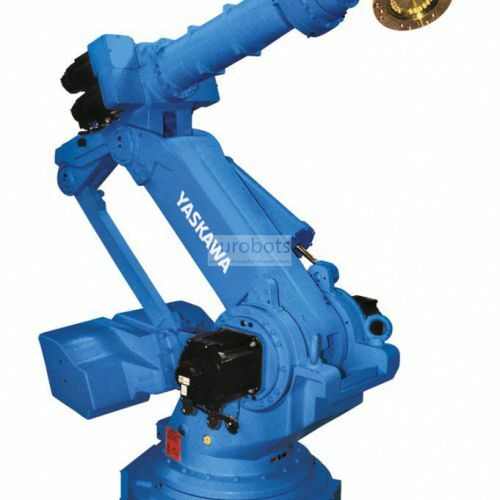 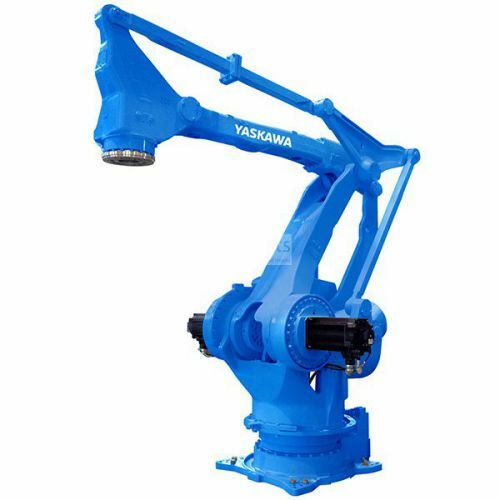 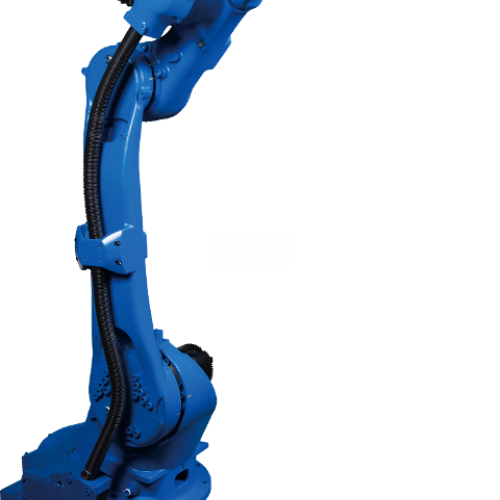 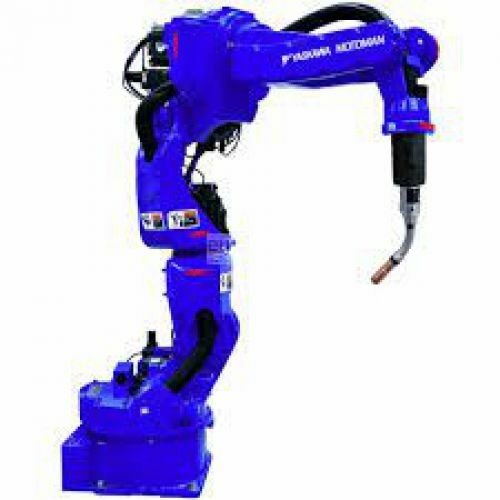 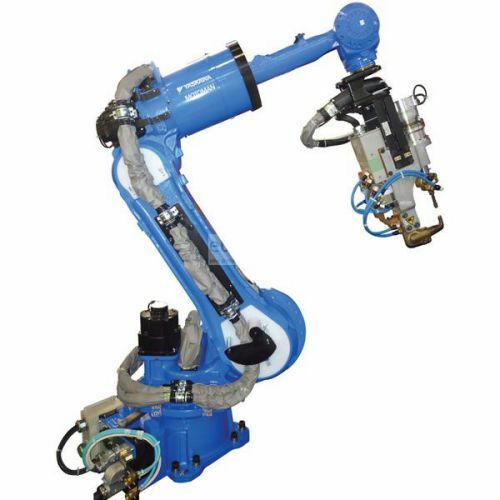 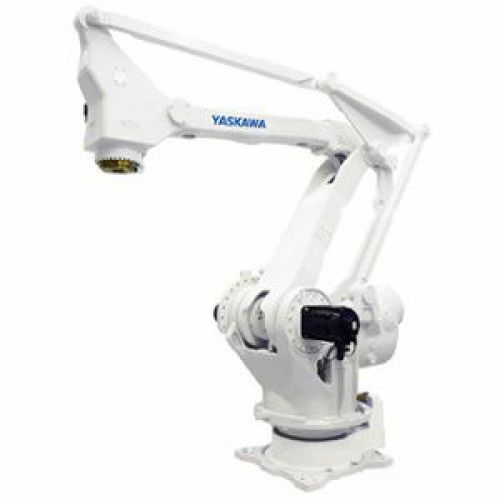 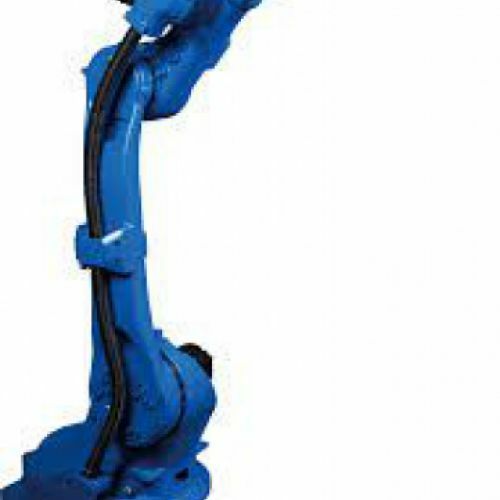 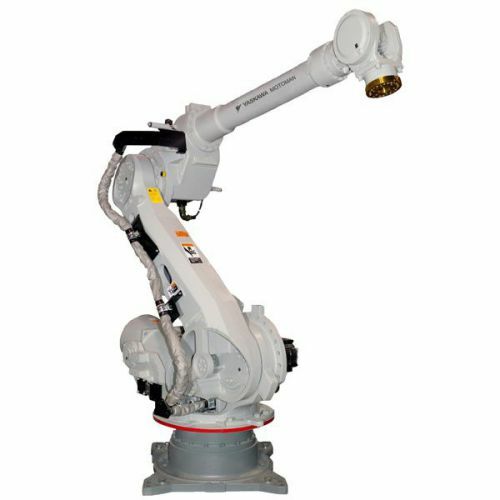 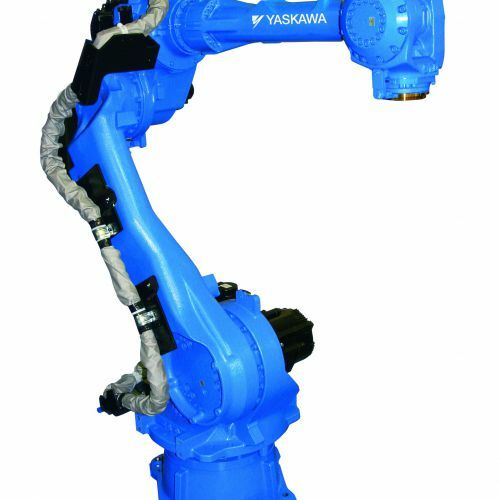 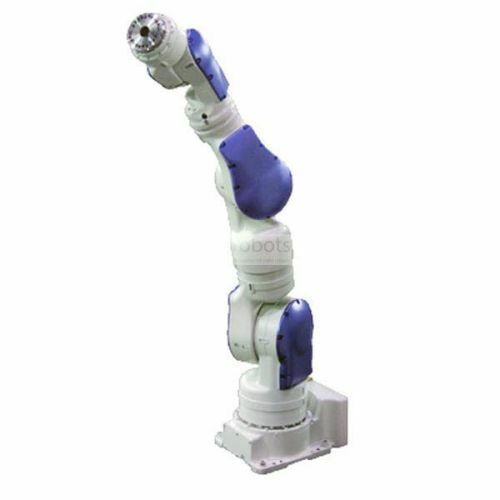 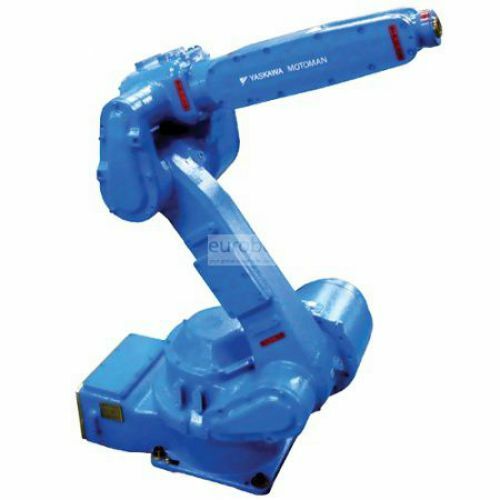 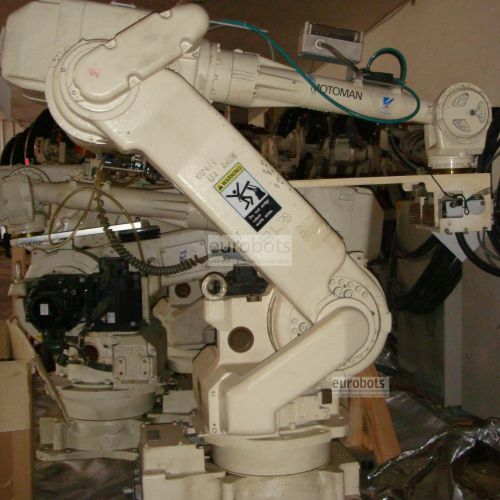 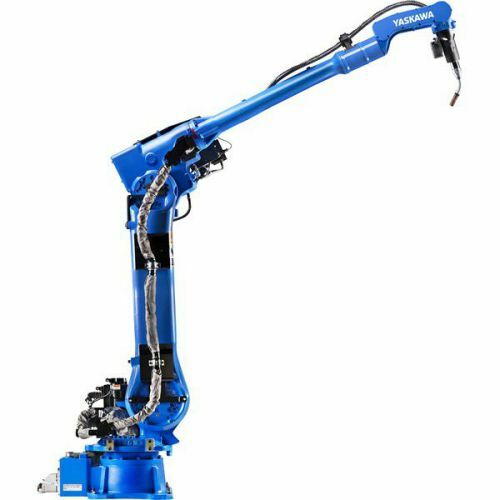 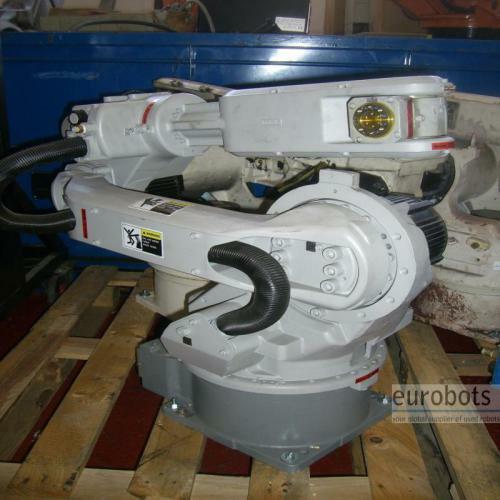 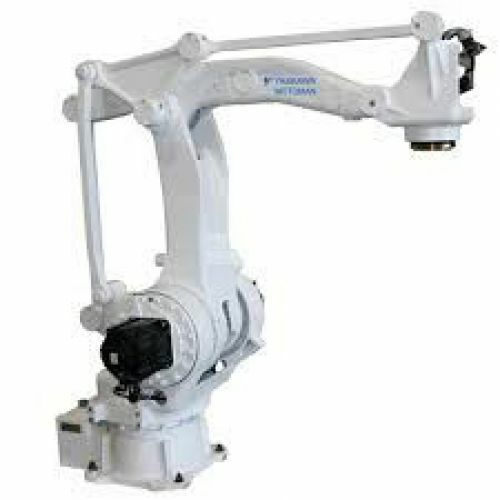 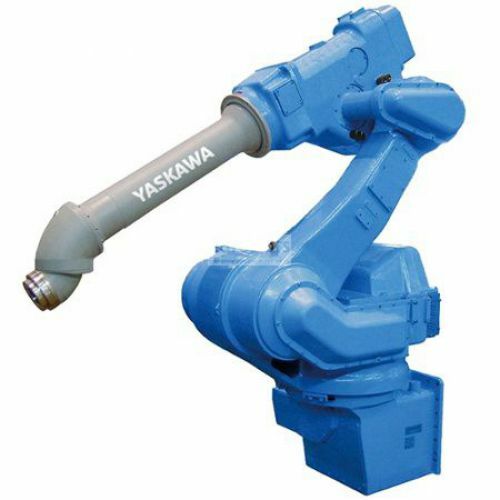 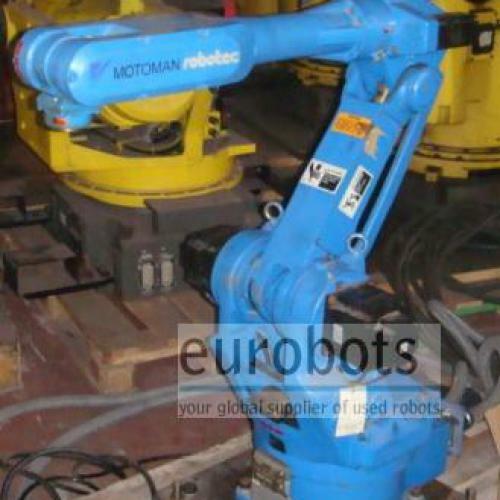 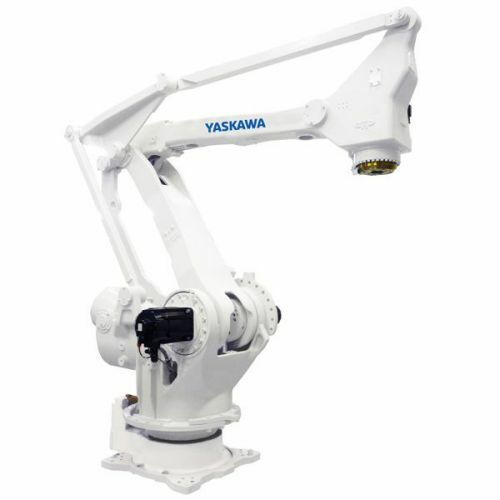 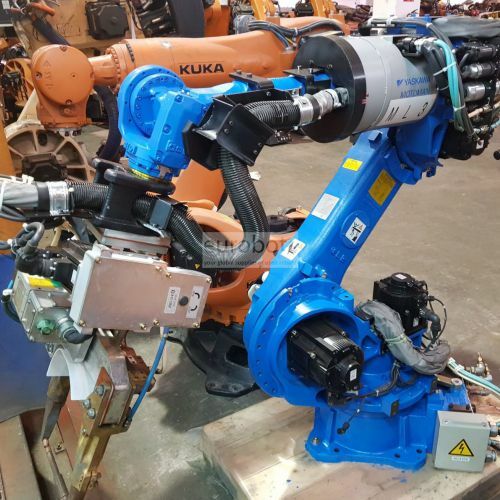 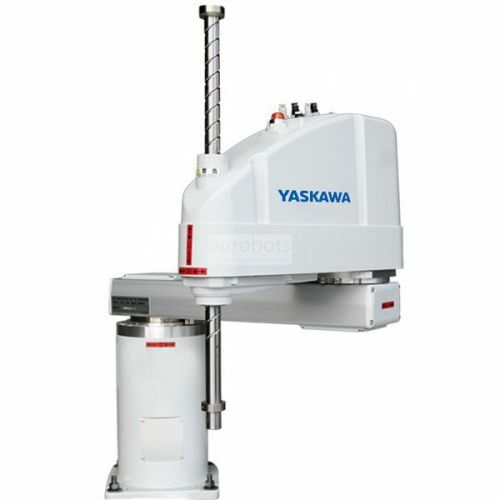 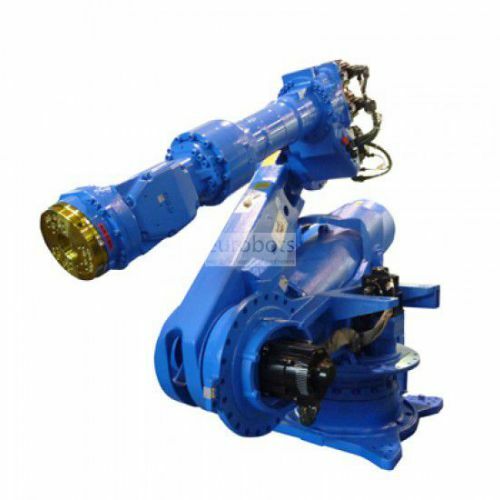 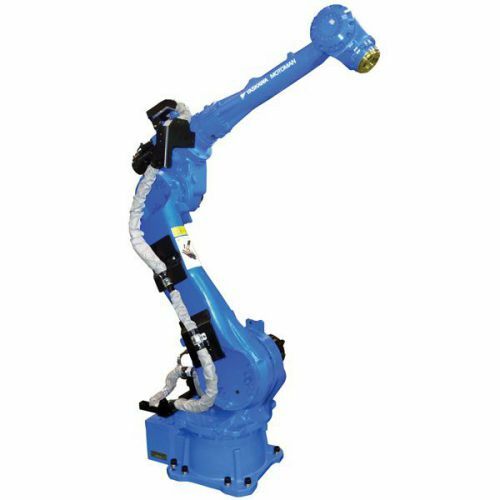 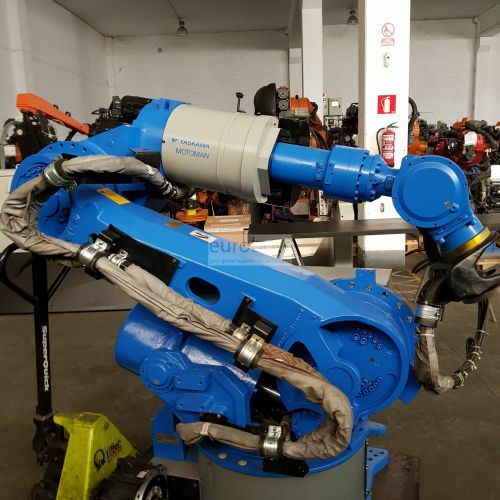 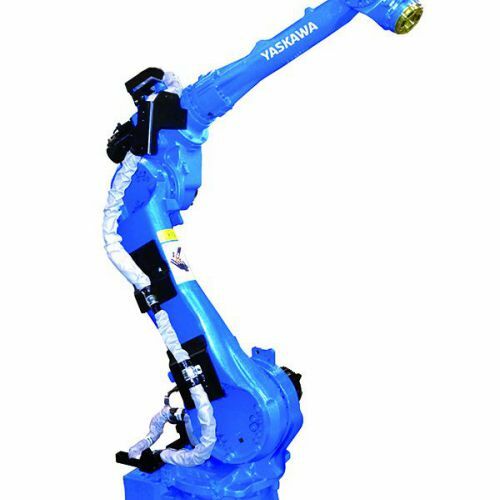 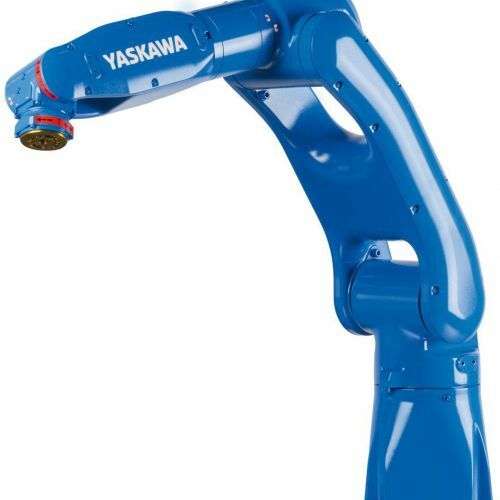 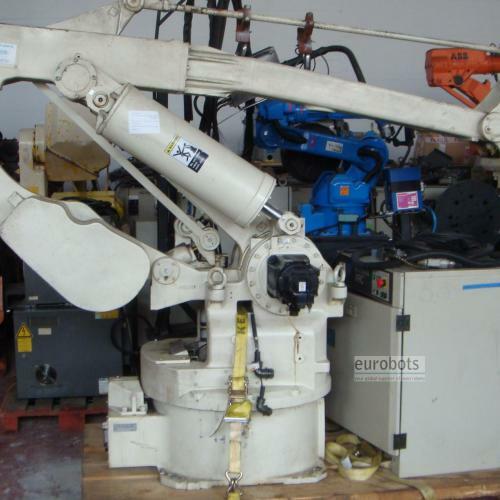 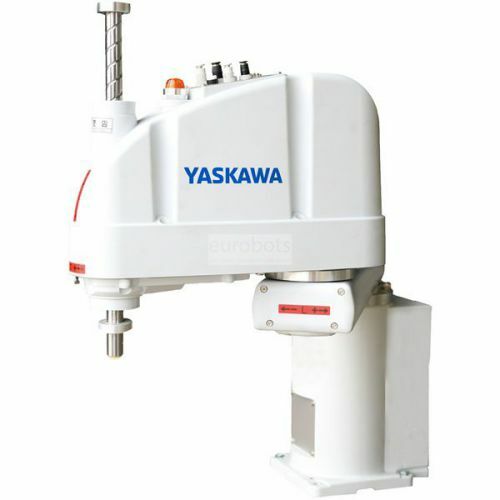 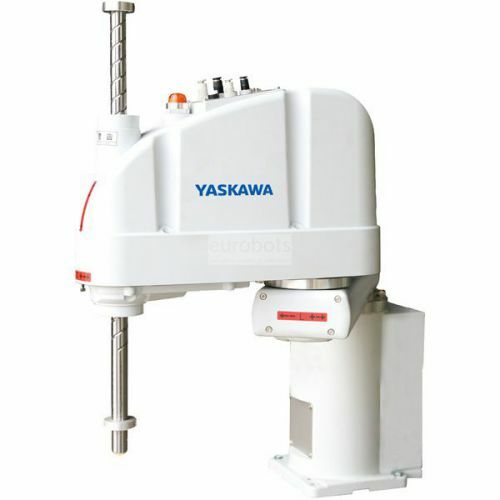 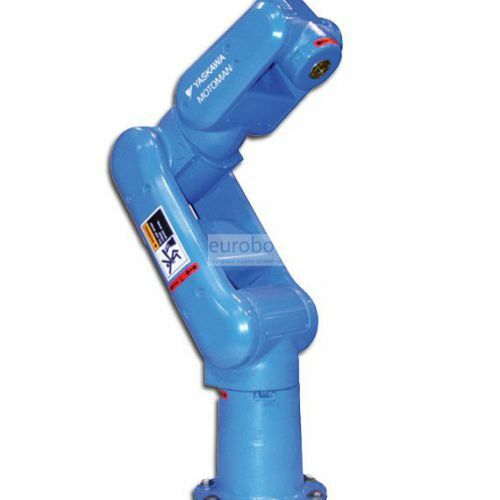 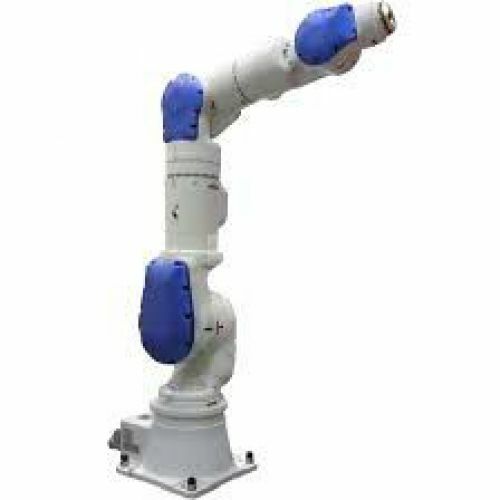 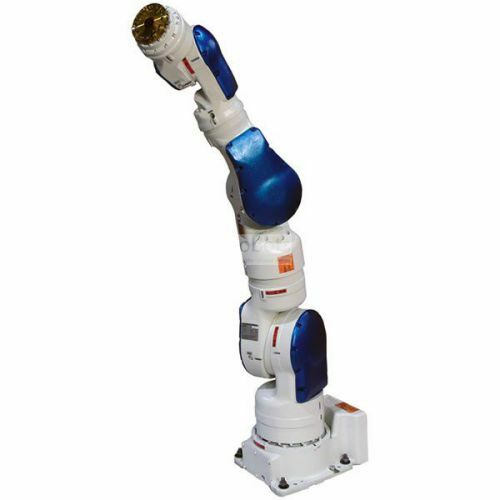 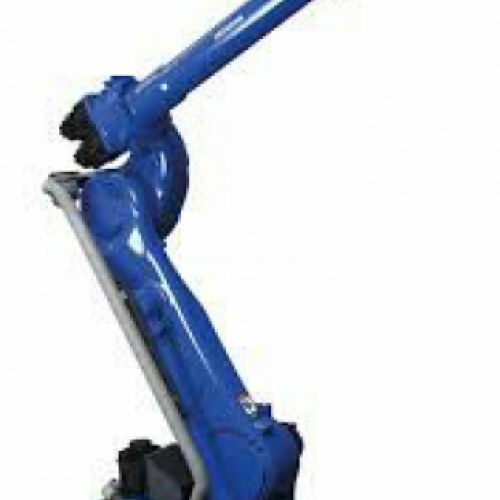 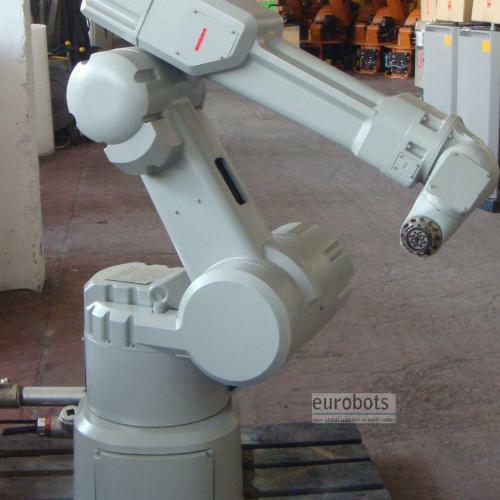 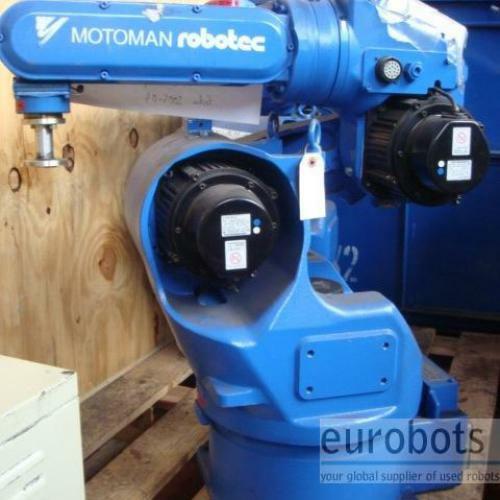 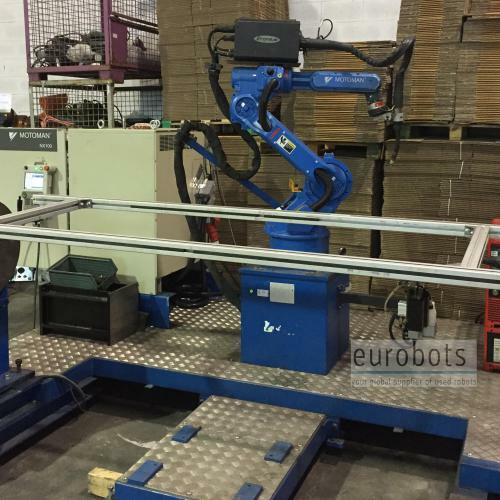 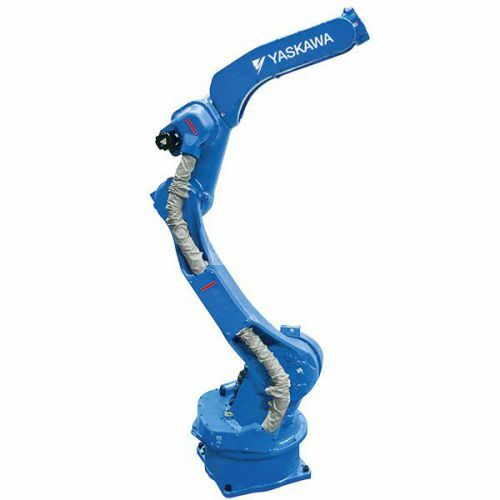 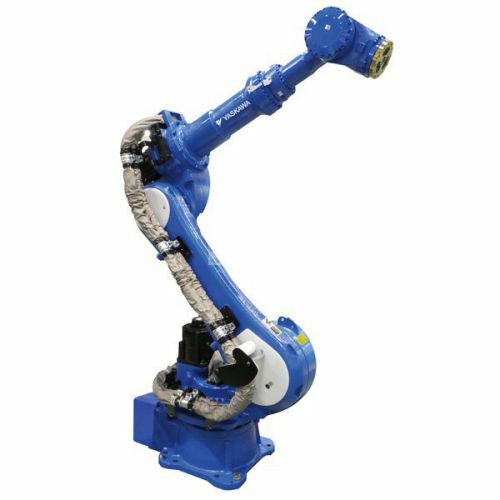 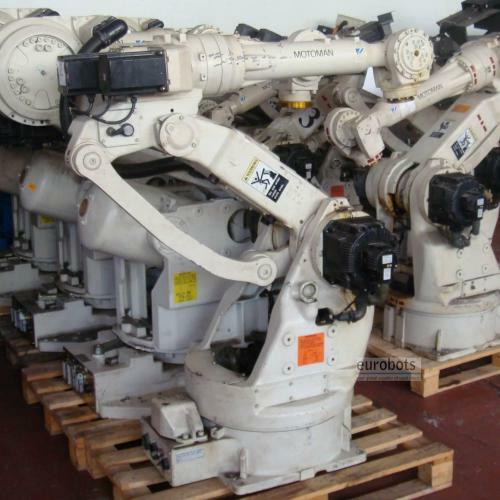 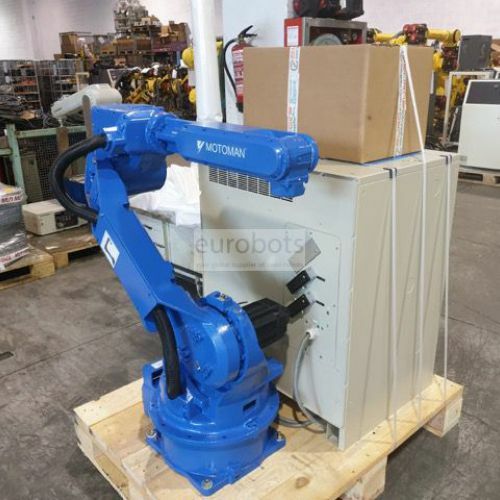 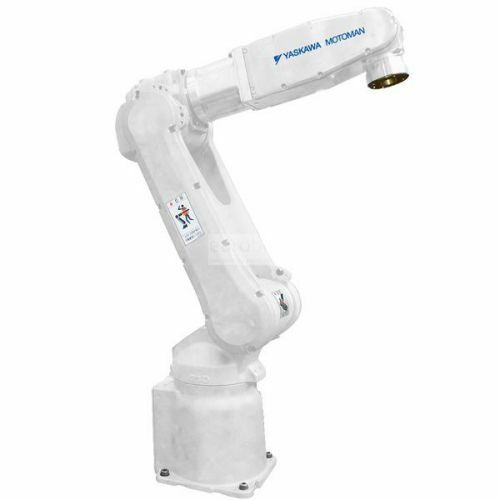 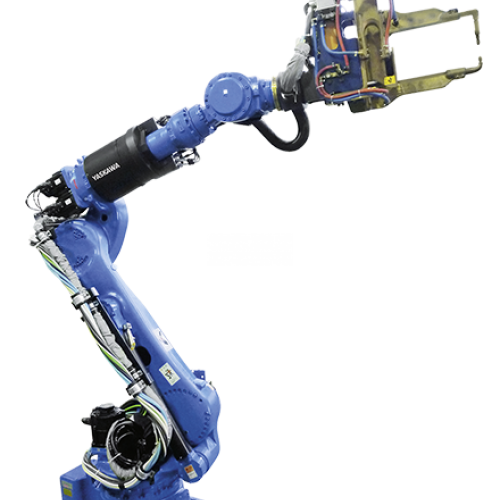 Robots with large flow rates on the wrist can also be used for handling and palletizing. 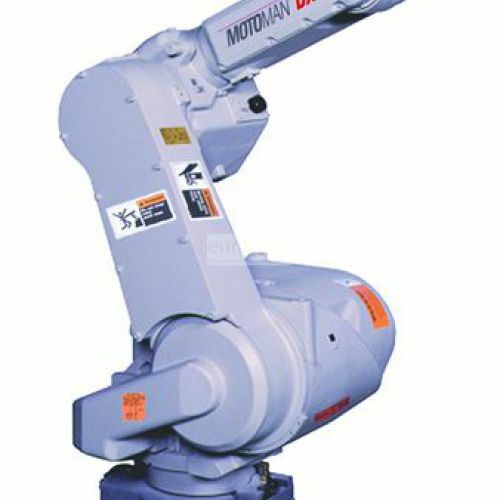 Motoman is a famous and much appreciated brand. 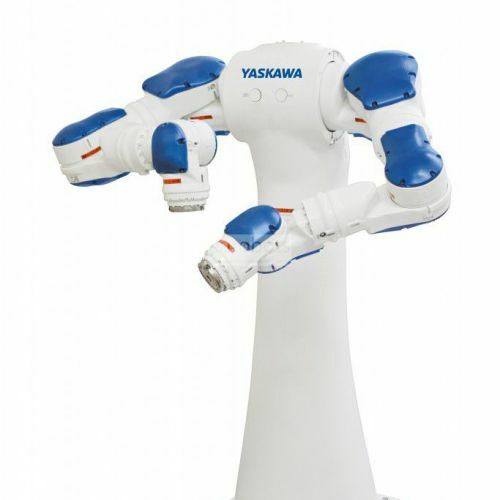 The Japanese House is always evolving, ready to meet all the needs of customers.